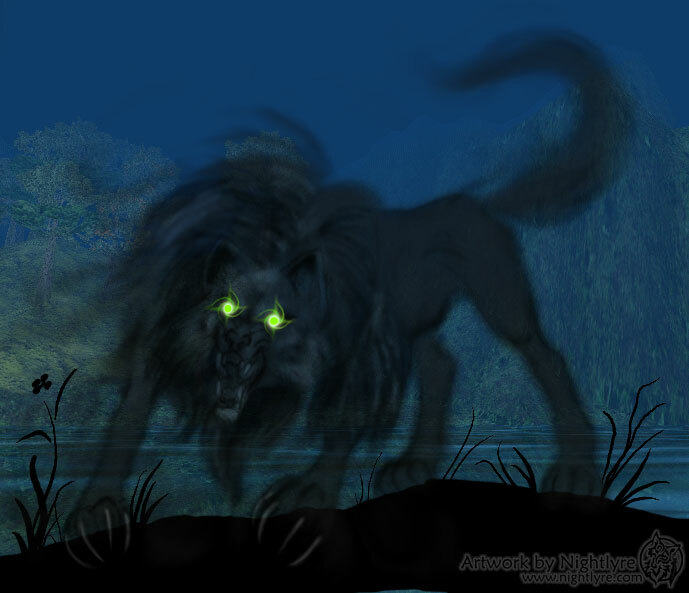 A ferocious, shadowy canine, with swirling green eyes, part of a roleplay plot a while ago. This is a digital image created in Photoshop. The background is a screenshot from the game, Everquest. 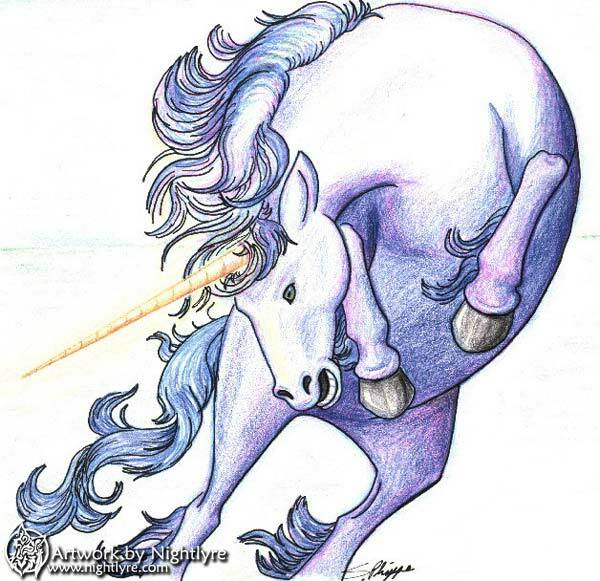 A unicorn rears and bares his teeth. The image is done in ink and colored pencil. 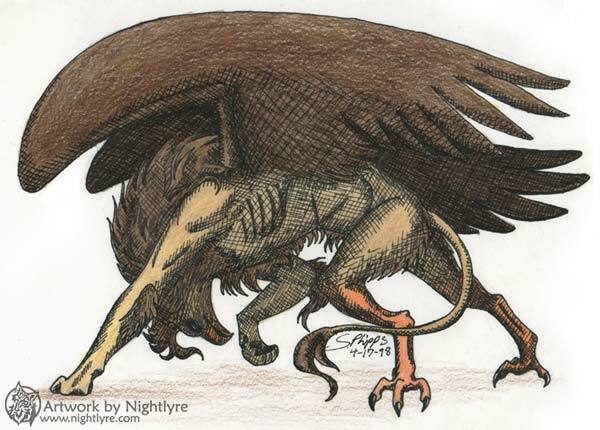 An anthro style griffin, crosshatched in ink and colored with colored pencil.